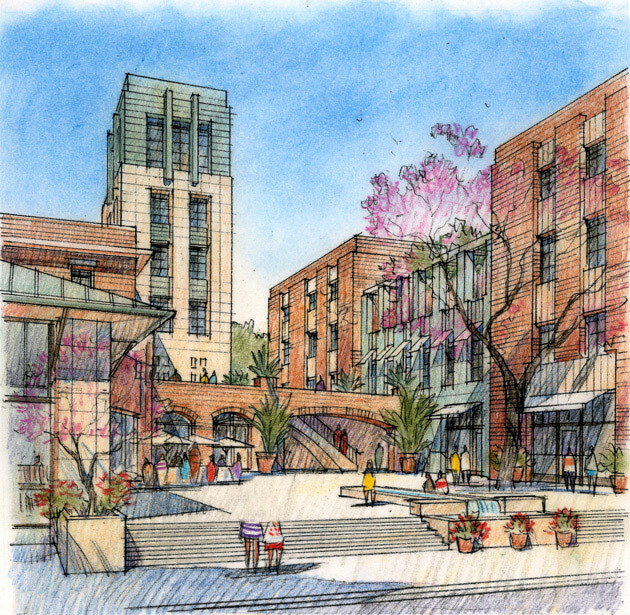 As part of a mature neighborhood in north Glendale, this mixed-use development incorporates courtyard spaces, retail, offices and 100 units of housing. A continuous street frontage with individual townhouse entrances and traditional brick facades recalls the materials and scale of the City's downtown. 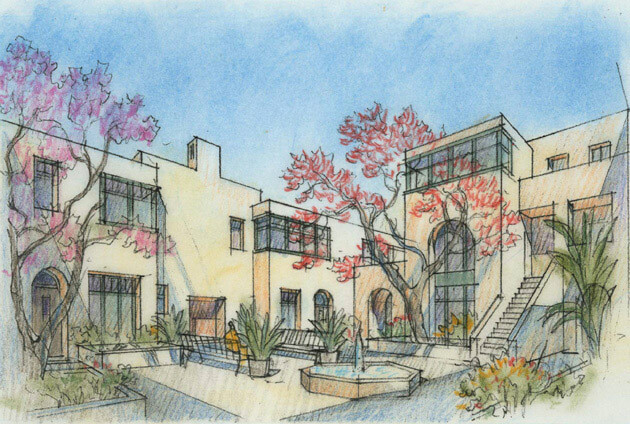 Two additional buildings reflect architectural vocabularies rooted in the region’s Mediterranean heritage. 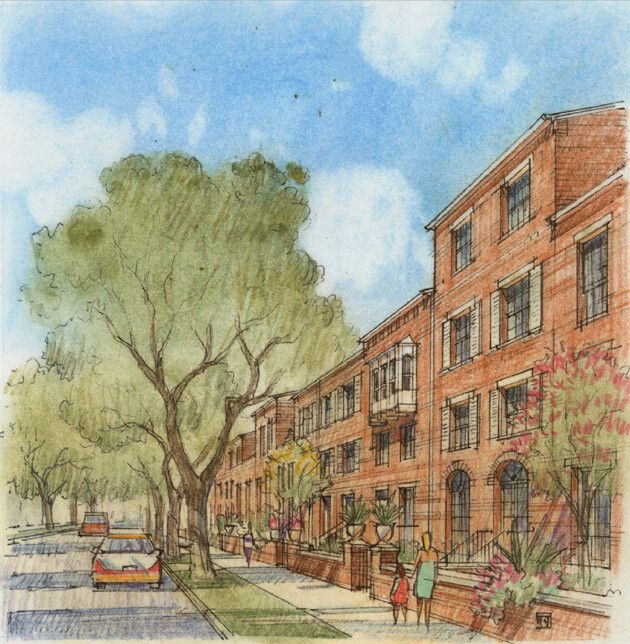 A key to the project’s vitality is its variety of housing types, including lofts, town­houses, row houses and flats. Housing and retail are organized around courtyards of varying shapes and sizes. Approximately 13,000 square feet of ground floor retail is located along Glenoaks Boulevard, one of the city’s most important thoroughfares. Upper level residences and office space overlook public spaces with parking for visitors and residents in two subterranean levels.